Poker fans have plenty of opinions when it comes to who should be in the Poker Hall of Fame. For those who want to have their voices heard this year, however, there are only a few days left to contribute to the process. The public voting period for the 2015 Poker Hall of Fame class will be ending this Saturday, at which time the World Series of Poker (which administers the Hall of Fame) will cut off outside input and begin whittling down the field to a set of deserving nominees. From the numerous names that will likely be brought up by fans, only the top ten eligible players will be considered for spots in the Poker Hall of Fame. The Poker Hall of Fame Governing Council will finalizing the list of nominees before holding a final vote, with top media members and living Hall of Fame members determining who will make the cut. Typically, either one or two new members have been added to the Poker Hall of Fame each year. For those interested in making suggestions, there are a few rules to keep in mind. Inductees must be at least 40 years old at the time of their nomination, and players must have played against “acknowledged top competition” at high stakes, playing consistently well enough over a long time period to gain the respect of their poker peers. Already, there have been campaigns launched for several individuals that the poker community might want considered for a spot in the Poker Hall of Fame. However, some of these suggestions are more controversial than others. 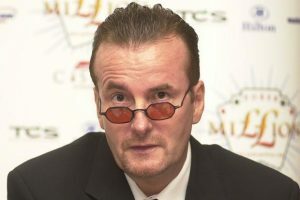 On the less controversial side is Dave “Devilfish” Ulliott, the legendary poker pro from the United Kingdom who passed away earlier this year. A beloved figure in the poker community, many in the UK have been pushing hard for him to be considered this year. Given that there have been few organized campaigns for potential nominees, Ulliott is likely to easily end up among one of the top ten names in the public voting, which should in turn land him on the nomination list. From there, it’s just a matter of how the panel will vote; that, of course, comes with a lot less certainty, and may depend on who else makes the nominaton list. If Ulliott is inducted into the Poker Hall of Fame, he would be the first European to gain entry into the exclusive club. Other Europeans who could get consideration include Chris Bjorin and Bruno Fitoussi. Also getting some talk in the poker community is Isai Scheinberg, the former owner of PokerStars. Scheinberg’s nomination would make sense: PokerStars had a massive impact on the online poker industry, was one of the major drivers of online satellites into major live events like the WSOP, and gained much good will when PokerStars quickly paid back American players after Black Friday. However, there would also be plenty of controversy if he were to receive a nomination. Scheinberg has still yet to face the charges against him after Black Friday, making just one of two out of the 11 people indicted in the case not to surrender to authorities and have their case heard.